Product #26870 | SKU HRC-01 | 0.0 (no ratings yet) Thanks for your rating! The Height Raiser Clamp from Lanparte is a clamp which holds two pairs of standard 15 mm rods. 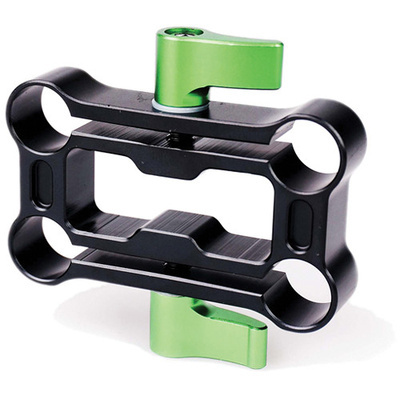 Use this clamp for interconnecting different parts of your DSLR rig, such as shoulder pad, bridge plate, and offset clamp. The height raiser clamp is also a mounting solution for front-of-camera accessories such as a follow focus or matte box.